YOUNGSTOWN, Ohio – Penn National Gaming Inc.’s racino in Austintown is “the poster child” for how tax increment financing can benefit a community, a local development official says, but the township school’s superintendent would like the district to get a piece of the action under future agreements. 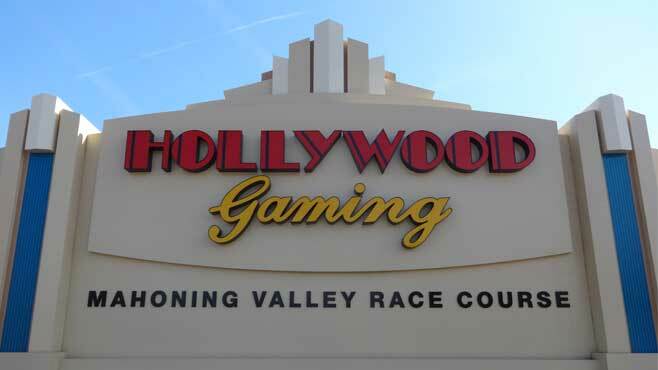 The TIF implemented at Hollywood Gaming at Mahoning Valley Race Course was among the items discussed at Monday’s meeting of the Mahoning County Tax Incentive Review Council. The council, on which county Auditor Ralph Meacham serves as chairman, recommended continuing the active abatements in Mahoning County per their agreements. The companies overall are meeting or exceeding investment and/or employment benchmarks laid out in the deals, according to the report the county issued at the meeting. Under the racino’s TIF, $1.29 million has been collected in its first two years, which has been used to support infrastructure improvements near the racino, including road resurfacing and sewer projects. TIFs allow political jurisdictions to allocate a portion of the tax revenue increased from improvements to real estate because of a project to be specifically allocated to related infrastructure projects. Austintown Schools Superintendent Vince Colaluca asked the council whether future TIF agreements could be structured to benefit the school system. He contemplated the possibility of putting a TIF in place for the proposed Meijer store coming to Austintown. He also asked about lobbying state legislators to insert a provision in the laws governing TIFs that would benefit school districts. “Now that you’ve asked, we’ll look for those opportunities,” Lown said. TIFs are “a huge gray area” in the Ohio Revised Code, she said. Columbus spends TIF money “on any old thing and no one is asking questions,” while other communities take a more conservative approach, she said. “Here in Mahoning County, we’re still trying to set the rules. We want to err on the conservative side,” she said. One possibility she suggested was a lower TIF level – many of the ones in place call for setting aside 50% of the increased tax collections. Jackson Township Trustee Tom Frost said the township instituted TIFs after discontinuing its Community Reinvestment Area. Since eliminating the CRA, five new construction projects have gotten under way, and the TIF has provided money to repave the industrial park in the township. “We feel we’re in the catbird seat for development,” he said. All of the enterprise zone agreements the committee reviewed were for 60% for 10 years. Two of the agreements – with Youngstown Baseline/FedEx Ground of North Jackson and InfoCision of Austintown – expired at the end of 2017, and the agreement with RSL Industries in Austintown will end in 2019. Two deals entered into last year – with Nordson Xaloy and Trumbull Industries, both in Austintown – are set to end in 2027. Nordson Xaloy has put $14.72 million into its project to date, far above the $1 million it projected during the first year when applying for the abatement, the council reported, and the 79 jobs created so far are slightly ahead of the 72 projected. The company projects investing $25 million and creating 143 jobs by consolidating its operations in Austintown. InfoCision’s investment of $4.47 million fell short of the $5.25 million to $6.14 million it projected, but the 451 jobs created were more than double the 200 anticipated. “I don’t know that there was necessarily a need to build any larger than what they did,” Austintown Township Trustee Jim Davis said. Davis said township officials discussed with company officials the lower-than-anticipated capital spending years ago. “What we felt was important was the number of jobs created through the years,” he said.